Purefecto: What is a Récamier? Récamier is a reclining sofa; typically the arm is higher on one side and lower (or none) on the other side but it can also have two arms at same height; but the height of the arm(s) is always higher than a typical sofa. It was named after Juliette Récamier, a Parisian socialite. The name caught on was probably because of the famous painting of her by Jacques-Louis David. 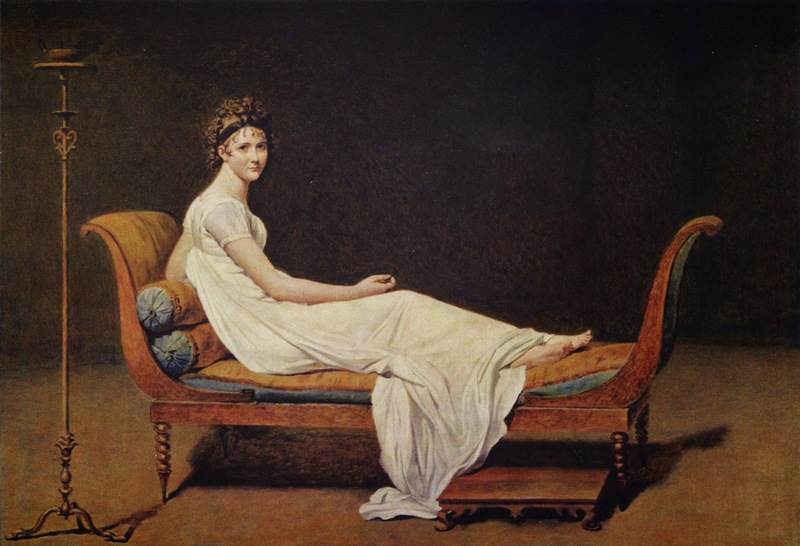 Here Madame Récamier is reclining on a Directoire style sofa. Directoire is a period between post French Revolution but before Napoleon Bonaparte came into power in 1799.